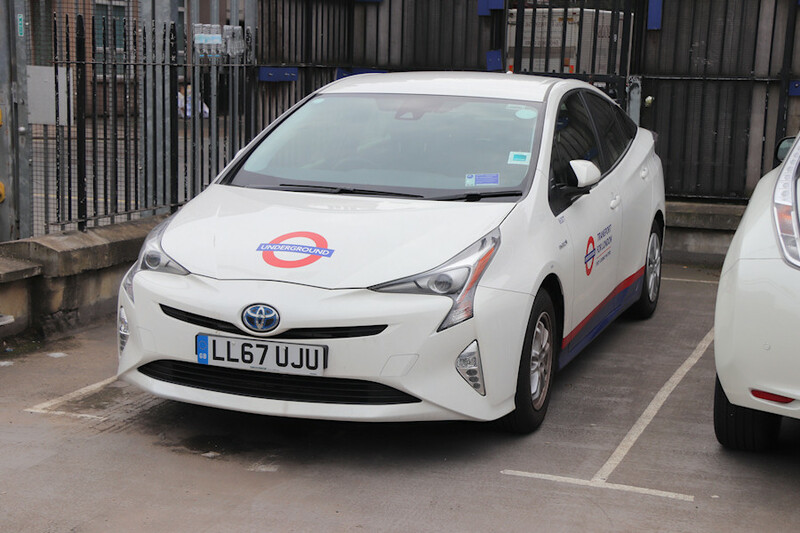 Details: Toyota Prius car 8630T was thought to be one of several based at Acton Works but it was seen at Edgware Road Station on 31st May 2018. It remains to be seen if this is an allocation. Also, until the number of the Renault Kangoo van shown earlier is known, this is the highest-numbered service vehicle to be shown on LTSV.